Scurion just released a new model headlamp: the Scurion 1500. With a total light output of 1450 lumen (2x725 lm) it is one of the brighest headlamps available on the market. 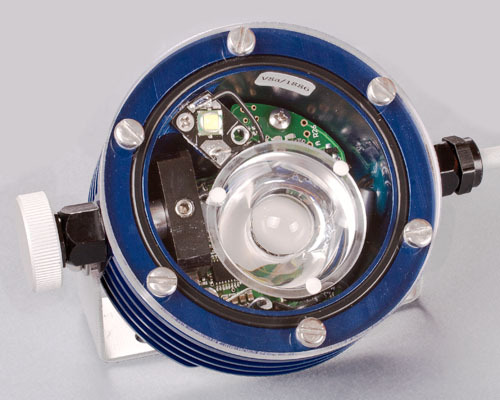 The Scurion 1500 incorporates two Cree XM-L LED's. These new Cree leds deliver more light, yet consume less power than the MC-E LED's used in the previous top model (Scurion 1300), due to the increased luminous efficacy of the XM-L (100 lm/Watt). A complete Scurion 1500 set (headlamp, mounting bracket, charger and two 4-cell Li-ion batteries) will retail at about 724 EURO (excl. VAT). Check out the pricelist for previous models.